Halifax's building boom has a way of getting in your face, whether you actively avoid the sidewalk closures, or not. Cranes are towering, drills be drillin', and neighbourhoods are being modified and developed. Whether it's all the result of densifying urban plans or an artificially-propped up real estate market remains to be seen. In any event, it's giving the peninsula a facelift. Here are some details on what's to come. 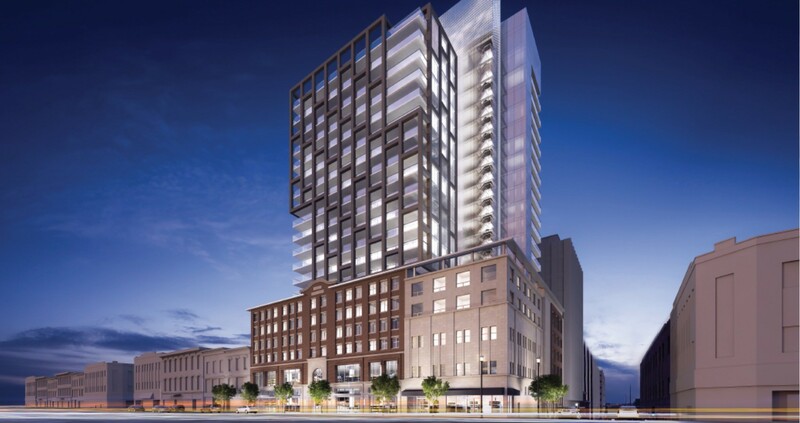 Dexel Developments is proposing a massive two-towered structure for the corner of Spring Garden Road and Carleton Street, reaching a height of 28-storeys. Public engagement sessions on the project took place over the spring, and a finalized design application is scheduled to be submitted to HRM in September. Formerly on Barrington, the Discovery Centre is moving on to much bigger things on Lower Water Street. 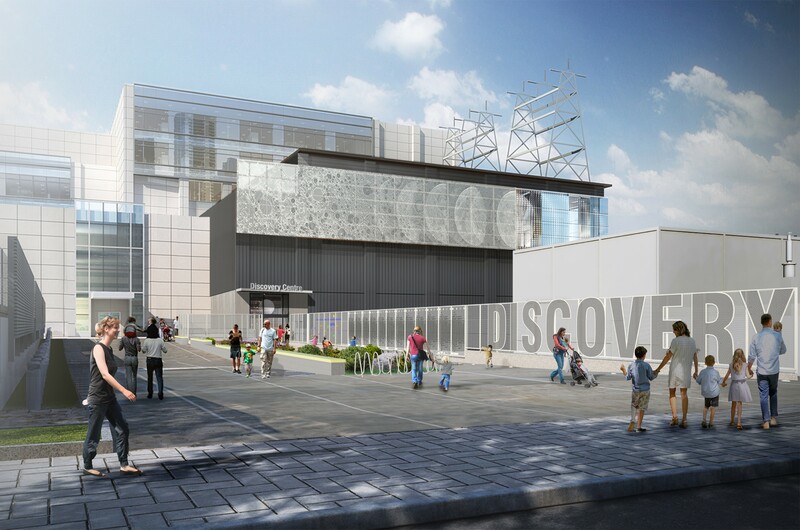 Nova Scotia Power gifted the science museum with 40,000 square feet of its corporate space along the waterfront. It's currently scheduled to open sometime in December. Check out the construction timeline for more info. 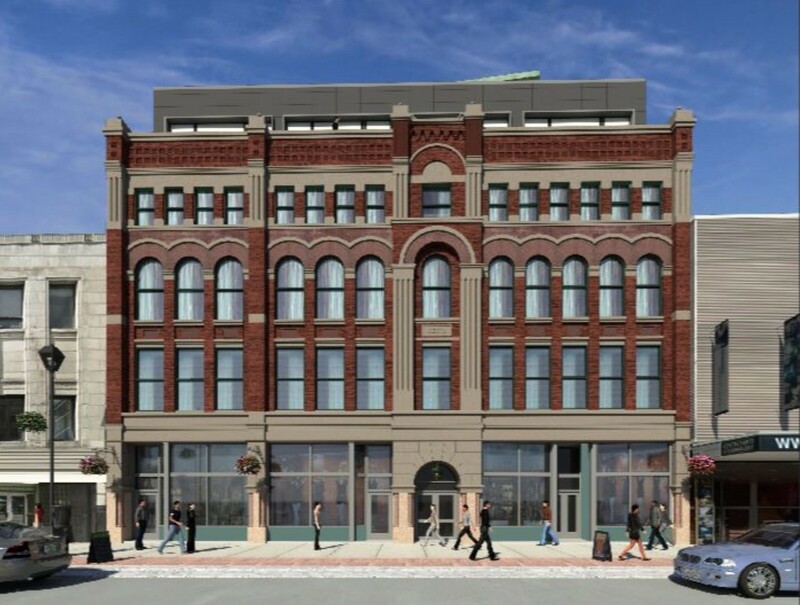 The corner of Sackville and Barrington Street that currently houses the Discovery Centre (until July 28) will soon be torn down and replaced with Jason Ghosn’ 16-storey mixed-use development, which is being built jointly with the Green Lantern redevelopment next door. This downtown heritage property is getting a facelift, thanks to property owners Jason and Jordan Ghosn and their investment in restoring the building’s original facade. The renovations will include an additional nine floors, multiple new entrances and an architectural copper-esque homage on the roof paying tribute to the building’s namesake. The former Catholic high school for peninsula Halifax was torn down over the last year, and is now being prepared for future sale by the municipality. 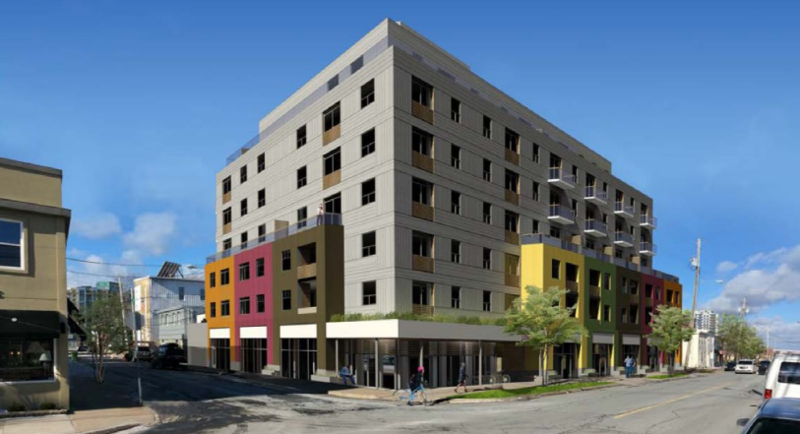 Young Street Equities is building two 17-storey condo and apartment towers on a shared commercial base at 6100 Young Street (across the street from the Superstore). 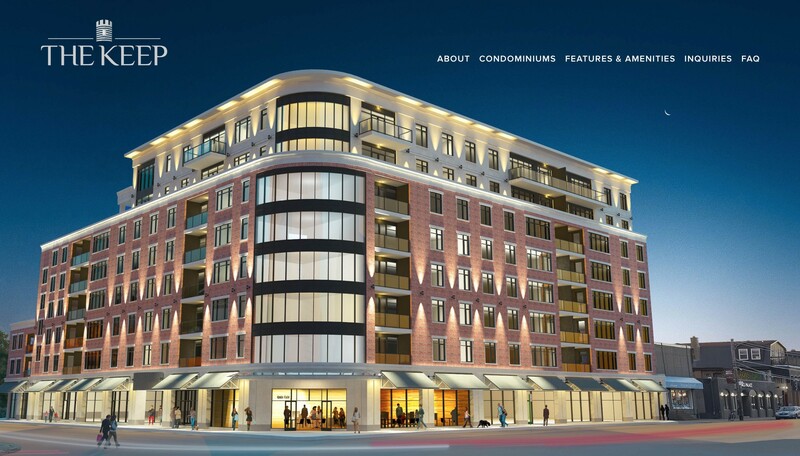 George Giannoulis and Mosaik Properties are erecting The Dillon at the corner of Sackville and Market streets (the former home of Night Magic Fashions). The glass condominiums will tower above a base of restored brick in the 19-century building, which sits across the street from the Nova Centre. The National Film Board building on Barrington was gutted by a destructive fire in the '90s, and is now finally being redeveloped after 25 years of vacancy. The current historical facade will be maintained for the future residential and retail space. At five acres and 450,000 square feet, the Queen’s Marque is a huge undertaking by the Armour Group and a massive investment by the Waterfront Development Corporation. 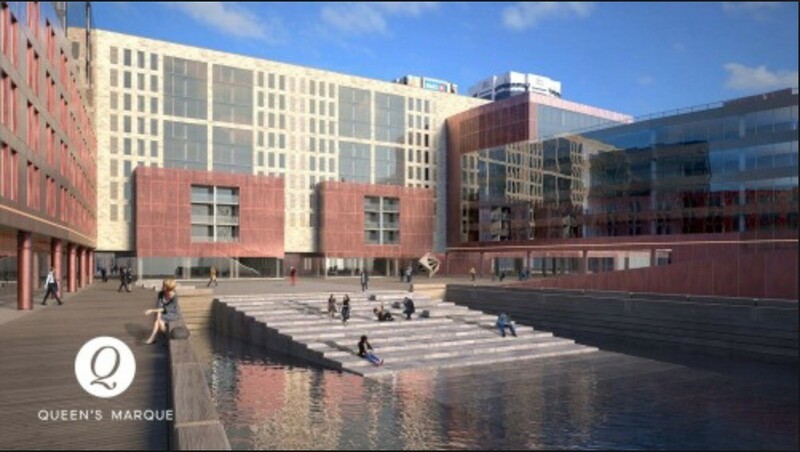 Three large residential and commercial buildings will enclose 75,000 square feet of public space leading to a set of granite steps going down into the harbour. The project has an ambitious completion date of 2019. The newly vacant lot in front of the Halifax Central Library. Yeah, you know the one. 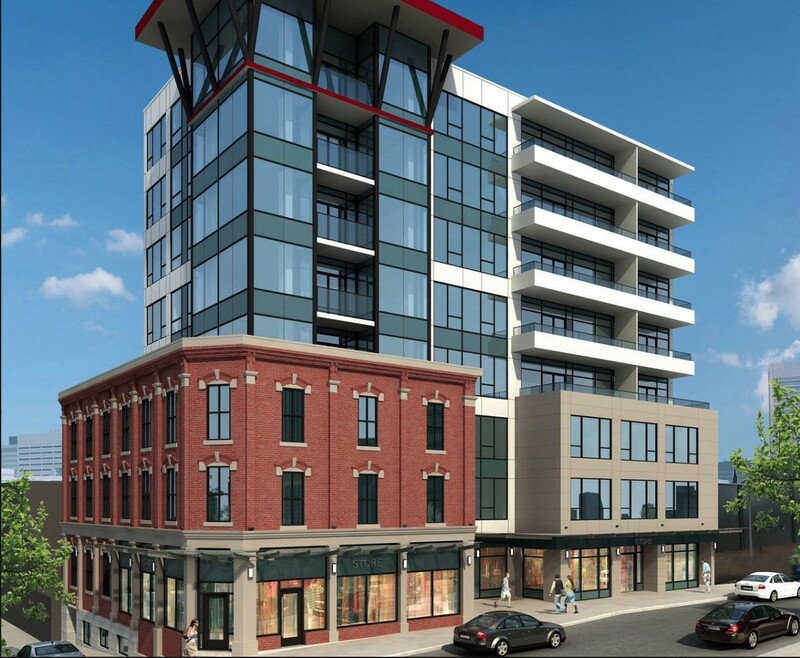 Westwood Developments has proposed a seven storey mixed-use complex that’s currently under construction now that the old BMO building and attached properties have been bulldozed. Some residents are fighting the proposed design, which will partially block the Central Library’s view of Citadel Hill. Southwest Properties is developing this 1.5-acre site, located at the intersection of Lower Water and Morris streets. 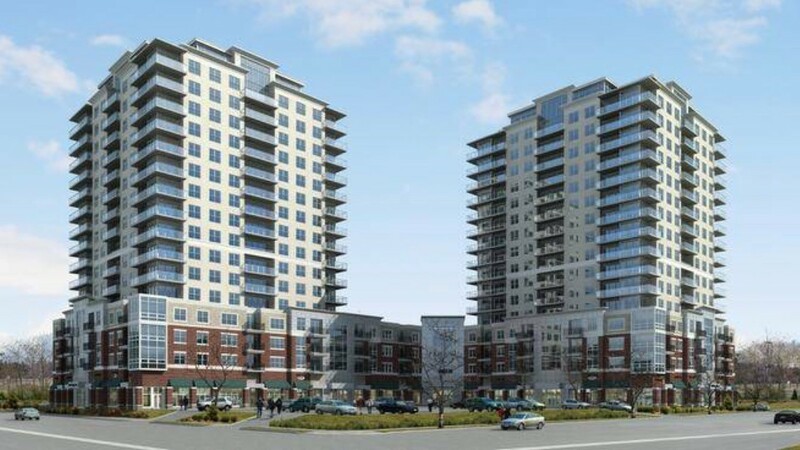 The 17-storey, $75-million project will fill in the parking lot between Bishop’s Landing and the Emera building. Replacing the CBC Radio building at South Park and Sackville will be this 13-storey condo development that’s currently under construction. 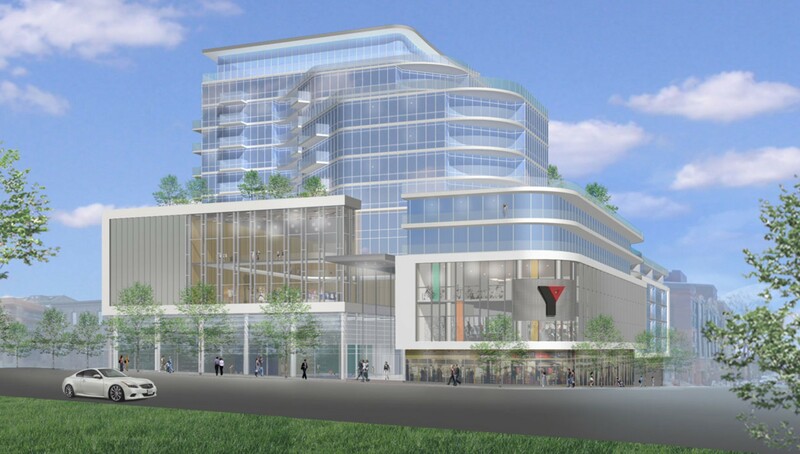 Once complete, it will be neighbours with incorporate the redeveloped YMCA . A residential high-rise currently under construction and developed by Killam Properties, located adjacent to the Brewery Market downtown (at Bishop and Hollis). An eight-storey Quinpool Road fortress of condos. A “Keep” refers to the strongest structure in a castle, and is apparently being used as a metaphor by developer Doug Reid for the building’s central location in the city. An eight-storey mixed-residential under construction next to Citadel Hill by Grafton Developments. The Pearl started on Rainnie Drive, before city council altered the streets and changed that portion of Rainnie to an extension of Gottingen. 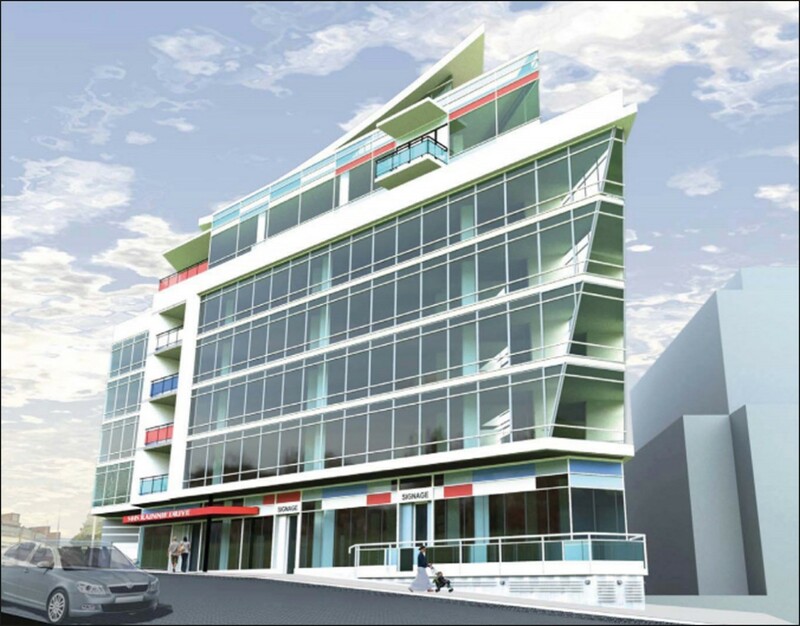 Urban Capital is developing this eight and 10 storey shared residential complex after buying the Wellington Street property from local firm Dino Capital. 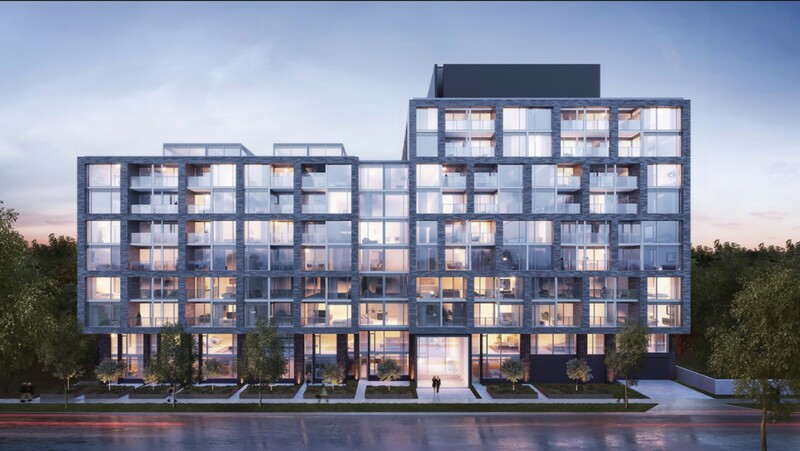 Urban Capital (with Killam Properties) is also building these loft-style condos, located on the far south end on Barrington Street between Inglis and South. The building’s name and its shipping container-inspired design is a nod to the history of Halifax’s ports. A 21-storey residential high-rise, also from Southwest Properties, currently under construction at 1583 Hollis Street. W.M. 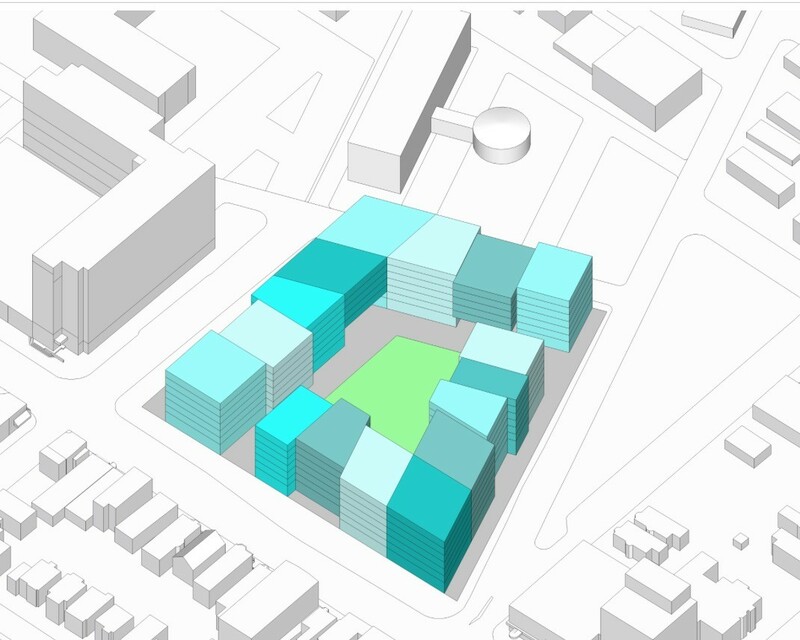 Fares is building a five-storey mixed use development, comprised of ground level commercial with 27 residential dwellings above, on the site of a former service station at the corner of Oxford Street and Bayers Road. Genivar Banc is building this 19-storey mixed use tower that’s nearing completion at 3065 Robie Street. The 56-unit, multicoloured complex from Atlantic Developments on Harris Street appears to be virtually finished. Two blocks over from Harris East on Roberts Street is this six-storey condo complex by the Polycorp Group. The Westwood Group, Architecture 49 and engineers at WSP are putting forward this ambitious proposal for the block of Robie Street between Almon and St. Albans (thankfully sparing Mary’s Cafe and the Good Robot brewery). 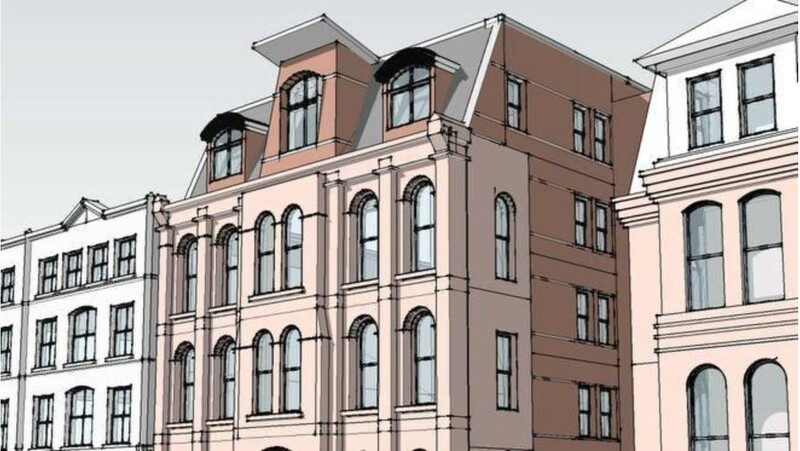 WSP, on behalf of “Persimmon Properties,” is proposing this seven-storey mixed-use building on the Agricola Street lot currently housing the axe-throwing Timber Lounge. A separate three-unit building will be built facing Fern Lane on the same property. 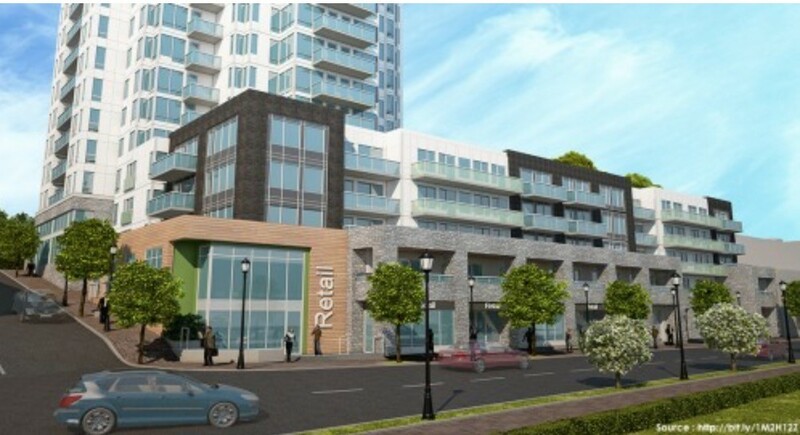 At the corner of Robie Street and Quinpool Road is the site of three proposed high-rise towers being jointly considered by HRM’s planning department. 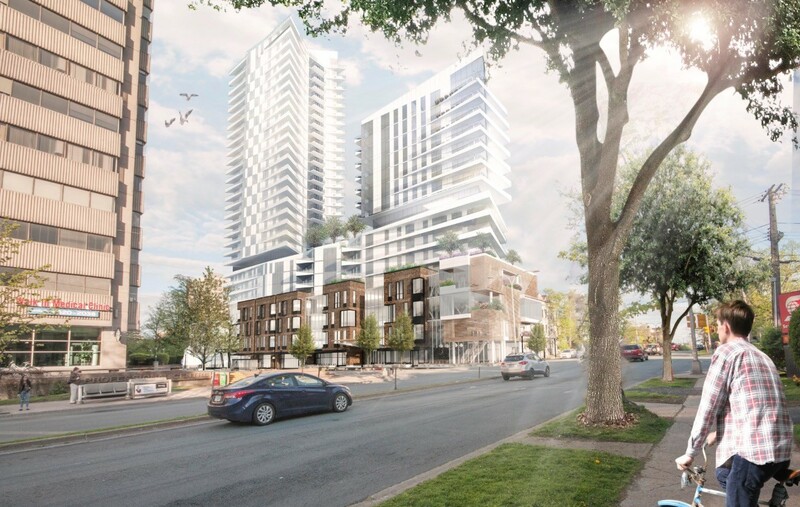 Westwood Developments wants to build an 18-storey structure on the site of the former Cruikshank’s Funeral Home, while Armco’s APL Properties is planning for two towers (11 and 22 storeys, respectively) at 6009 and 6017 Quinpool. 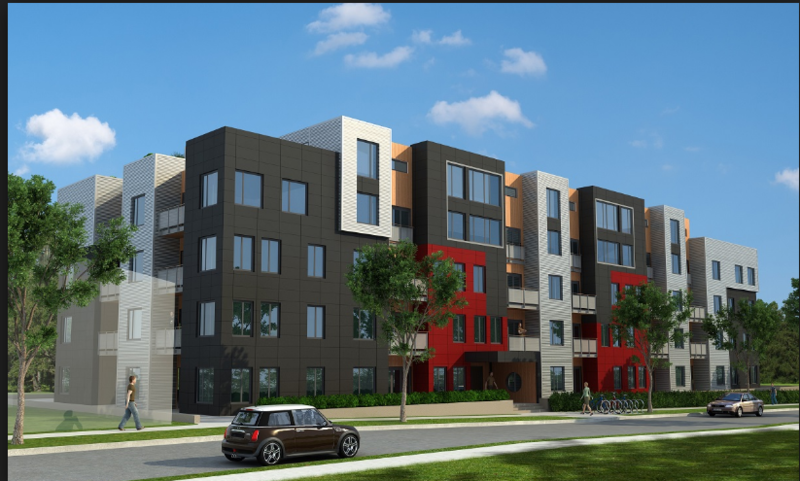 Danny Chedrawe’s Westwood Developments is still finalizing concepts for this 10,000 square metre site between Quinpool Road, Pepperell and Shirley Street. Expect condos, townhouses and possibly a community oven.